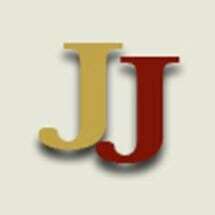 Jason January specializes in cases involving serious personal injury and wrongful death. He represents victims of accidents and criminal activity. Because of his extensive experience handling high-profile cases, Jason January provides expert consultation and analysis on criminal law and civil litigation. His commentary has appeared on radio, TV and newspapers across the nation. For over 20 years Jason January has worked on numerous cases in the North Texas Area. He is a veteran of many hundreds of trials before judges and juries. In private practice, he helps victims of personal injury and medical malpractice. Mr. January was nominated by Dallas Police Chief Ben Click and the Sheriff of Dallas county Sheriff as "Prosecutor of the Year". Jason January never lost a first-degree felony case during his tenure at the District Attorney's Office. Every capital murder case he tried resulted in a conviction and death sentence. In private practice, Jason January continues to help victims of personal injury and medical malpractice.